Hi everyone!! We are going to mix it up a little bit this week!!! I am so excited to read all of the great traditions and ways you antd your families/friends celebrate!! YOU MUST POST YOUR COMMENT BY MIDNIGHT ON JULY 1ST! THERE WILL BE 3 NAMES DRAWN, AND POSTED ON (hopefully) WEDNESDAY, JULY 2ND! Hi Everyone! This weeks project is unique, and totally different than any of our other weekly projects! These super cute projects are brought to us by Vicki Chrisman!! 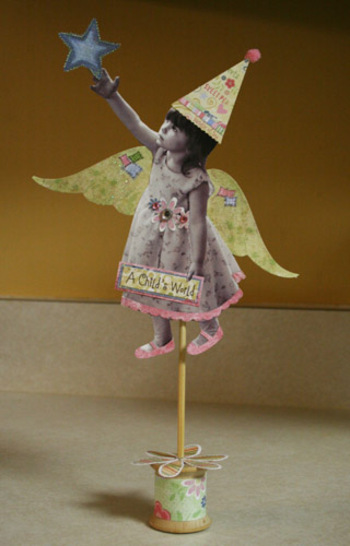 1 ) You will need a photo approximately 6 inches high to get started on your fairy. The photo works best if it is a complete shot.. head to toe. I sized mine in Photoshop and turned my color photo to black and white. Cut your image out as precisely and possible. 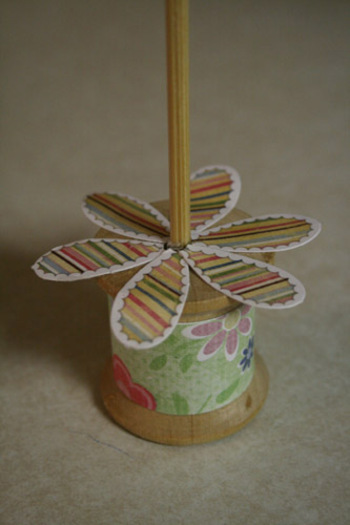 3) Cut the flowers and star from “The Sweet Pea “ line , and attach to the fairy. 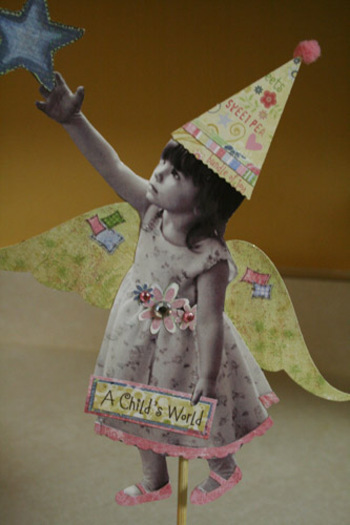 4) You can use other coordinating papers from the Sweet Pea line to embellish your fairy. 8) Hot glue the other end of the dowel into the hole in the center of the spool. Hi! It seems like the weeks are flying by!! It is CRAZY!! :) Hopefully summer won't go by too fast?! This weeks project was created by Jodi Sanford! The cover pages plus one other is cut from Whimsical. 2 Pages from Twitterpated,1 page cut from In love. (the remaining paper from In Love can be used for an extra page,for photo mats, etc. 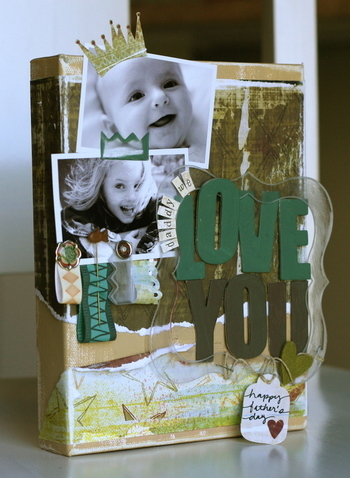 Punch out brown mini tag, love crown and darling text block from Titles and Tags. 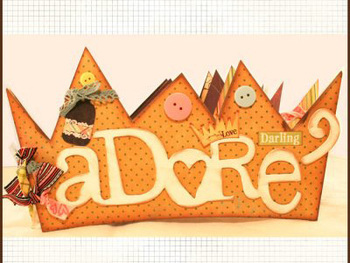 Add embellishments according to the image, or using your own creativity! Use buttons and ribbon to embellish cover, as well as throughout book. Lace one ribbon at a time through each hole. You don't want the ribbon to be really tight, or the book will be hard to open completely. I hope everyone had a great weekend?! Its that time again! !..time for our weekly project! This weeks project was created by an employee here at Fancy Pants! Jordan Frazier created this super fun 4th of July decoration! I dont know about you..but that is one holiday i absolutely love! !- and seeing this gets me even more excited for it! :) Thanks Jordan!! 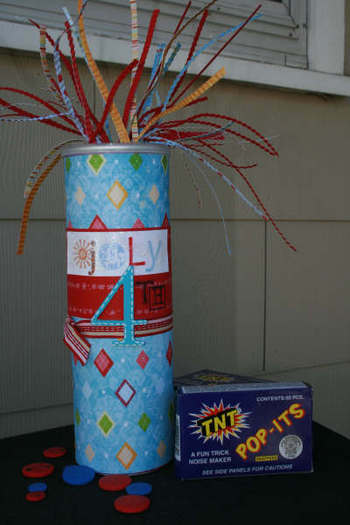 Instructions for "4th of July Firecracker"
To begin with, cover the Pringles can with a piece of patterned paper. I used the Party design, in the Celebrate line. 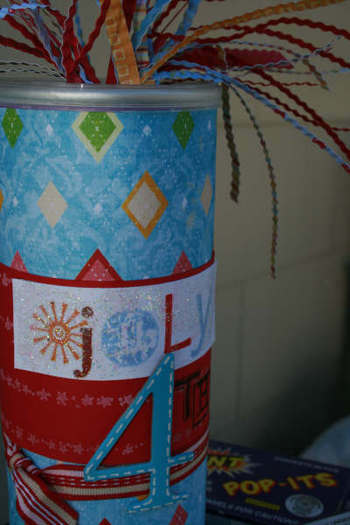 Once covered set aside and start with a strip of red cardstock that can also wrap around the can. 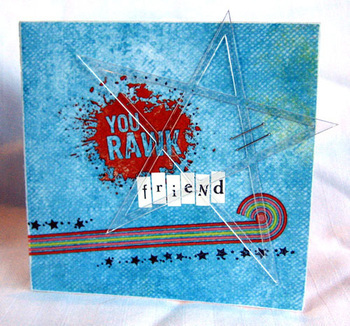 With white ink, I used the small star border out of the Chic Alpha stamps and made a few stripes along the red cardstock. Set aside. On a piece of white cardstock stamp out the word "July" using the Chic Alpha stamps. (The sun design under the "J" is used from the Holly Jolly Rubons. )Attach the white piece of cardstock to the red cardstock. Paint the number 4 with acrylic paint and with a white gel pen I "stitched" around the edges. The "TH" is also stamped with the Chic Alpha stamps using black ink. After tying the ribbon around the can you can start putting everything together. For the lid of the firecracker, poke a hole in the top of the can. Cut small strips of patterned paper, cardstock, and just anything fun---you could also try using something shiny and sparkly in there too! Once the strips are cut run them through a crimper and just start pushing them through the hole in the top. Arrange as you would like and you're finished! Such a cute centerpiece for your 4th of July BBQ! Hey! We want to thank everyone that entered our fun card challenge! Sorry i am just getting the results to you! :) I love seeing the great talent all of you have! Here are the winners!! 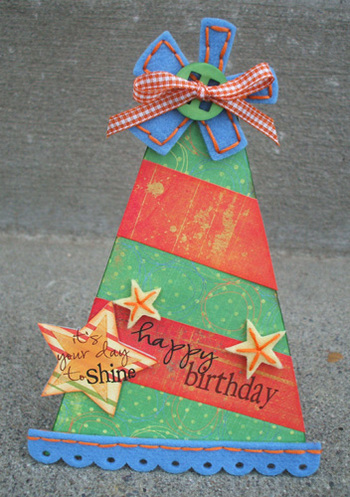 This fabulous card is by Gretchen McElveen!! Thanks to everyone who entered our contest!! Check back later today for our Weekly Project!! Hey everyone!!! I dont know about all of you..but i am so happy it is JUNE!! !-hopefully the weather stays nice, so it will actually feel like it is?! Anyways, this weeks project is brought to us by the lovely Amy Peterman! I absolutely loved this unique and creative project!! And you will still have plenty of time before Fathers Day to get one or two of these made! 1.Paint canvas with acrylic paint and allow to dry. Then cover with torn pieces of Papa: Brave and Papa: Strips papers. 2. 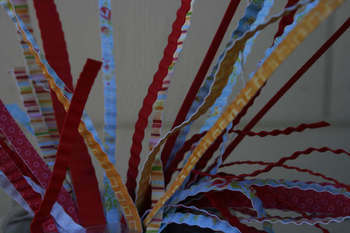 Attach loops of scraps of Fancy Pants ribbons. Cut 1” off of Clearly Bigger border and attach larger piece to photo with brad. Place Rough and Tough Fish pin through one of the ribbons. Adhere photos to canvas. 3. 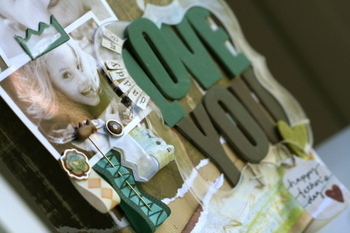 Paint Say it Simple Chipboard letters with acrylic paint and adhere to layout. 4. Adhere crown from Papa: Titles and Tags and 1” piece of Clearly Bigger (#698) border (to be used as a crown) to photos. 5.With a sanding block, sand all over surface of Clearly Bigger frame and adhere to layout. Apply small letter stickers to frame. 6. Write “Happy Father’s Day” on tag from Papa: Titles and Tags and tie to frame with jute.